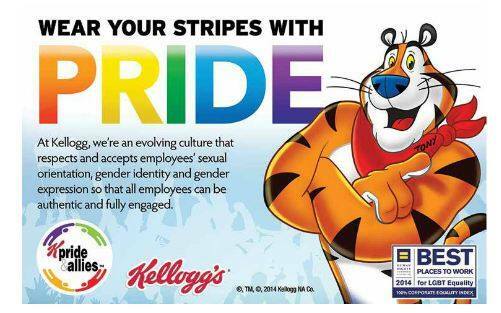 Fabulous anthro Tony tiger ruffles fur of anti-gays. It was always obvious. Kellogg’s “Global Head of Diversity” released a statement about the ad, in the article. The fictional world behind Lead to Fire posits an alternate future where the animal world is undergoing their version of the Enlightenment and the Industrial Revolution simultaneously. Unique music video from a fursuiter’s point of view. Furocity Radio seeks station staff. Check out their Andrew WK interview. Good for Furocity Radio for going out of their way to put out some cool material – give them a hand! I’m surprised I hadn’t noticed that Andrew WK did a furry interview for them. It was around the time he endorsed support for Furries, early this year. The interview runs about 37 minutes. It’s posted together with interviews with Uncle Kage and NIIC The Singing Dog. Crowds, cuteness overwhelm first Hello Kitty Con. Little Tokyo in downtown Los Angeles had 25,000 fans show up for the sold-out event.